Last weekend I was lucky enough to team up with BIJOU BIJOU in a bid to create a date night look. Choosing from their amazing jewellery range, I stumbled upon this beautiful statement piece which I had to own immediately. 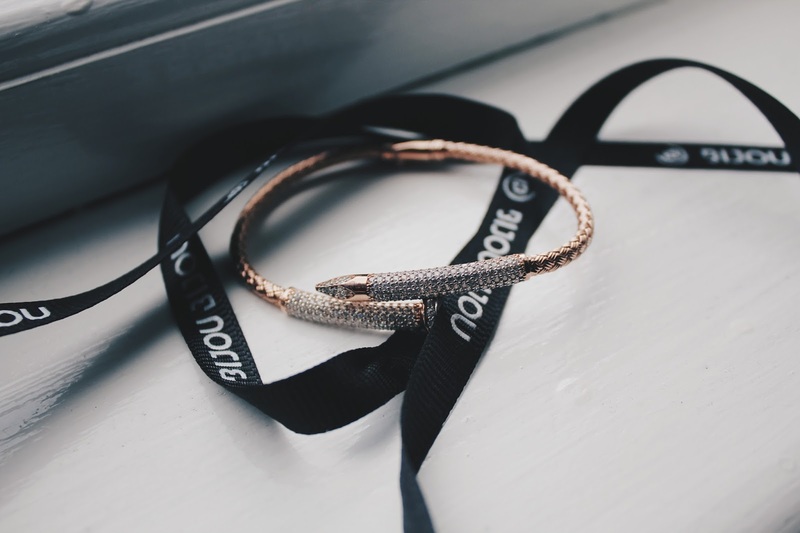 I adore rose gold jewellery, and adding this to my collection is a total privilege. 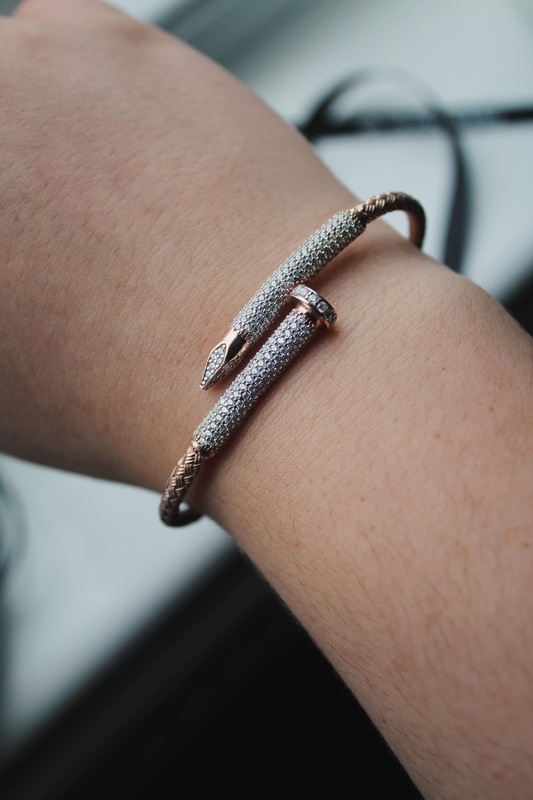 The look of the piece reminds me of this Cartier bracelet, but without needing to take out a mortgage in order to actually own it…I’ve seen the likes of Kylie Jenner (icon) don bracelets like this, which may have influenced my decision to choose this specific item a little bit. 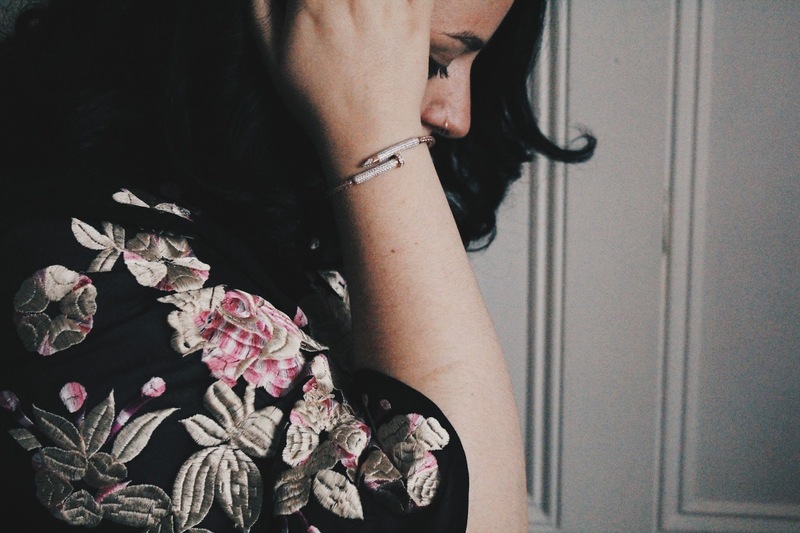 And, although the bracelets do look similar, you can see how the Head & Nail bracelet from BIJOU BIJOU stands alone as a great looking statement piece. When it came to getting ready for a (rainy) date night, I paired the BIJOU BIJOU Head & Nail bracelet with my ASOS Curve Oriental Style Dress (£85), Dusty Pink Shoulder Bag from Primark (£10) and my strappy black Missguided heels (£35). The colours completely complemented each other and I felt amazing. The bracelet is weighty and has that elegant feel I always want from pieces like this. The clasp is secure and the item came with a stylish pouch in elegant black packaging. If you’re looking to buy a present for your partner, I imagine BIJOU BIJOU would be great to have a look at for this aspect alone – especially if your significant other loves a bit of sophistication in terms of packaging. Once I was ready, me and my boyfriend enjoyed some Greek Cuisine at The Real Greeks, followed by some drinks with friends to end the night. 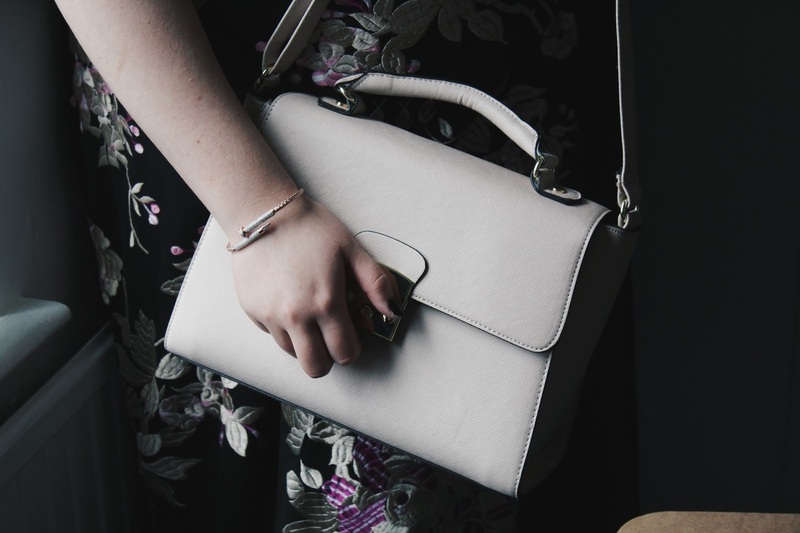 If you’re looking for something to make an outfit stand out, or if you’re in the market for a statement item to make yourself feel amazing, BIJOU BIJOU is the brand you should be paying attention to. When my bank account can afford it, I’m looking to splash out on this cutie little kitten necklace.